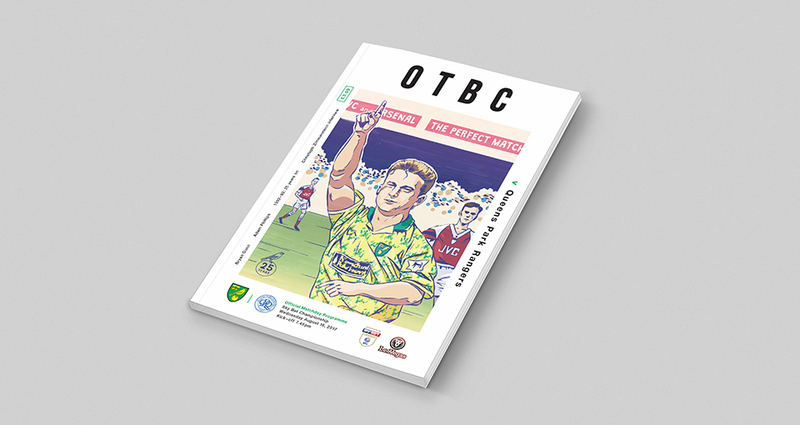 When we found out that Norwich City's match against QPR marked the day after the 25th anniversary of their 4-2 win over Arsenal at Highbury, it had to be the focal point for the cover artwork. It was the Canaries’ first-ever game in the newly formed Premier League and obviously the precursor to a great season. The star of the show that day in 1992 was little Mark Robins who scored two goals after coming on as a sub, including a spectacular lobbed effort from outside the box. 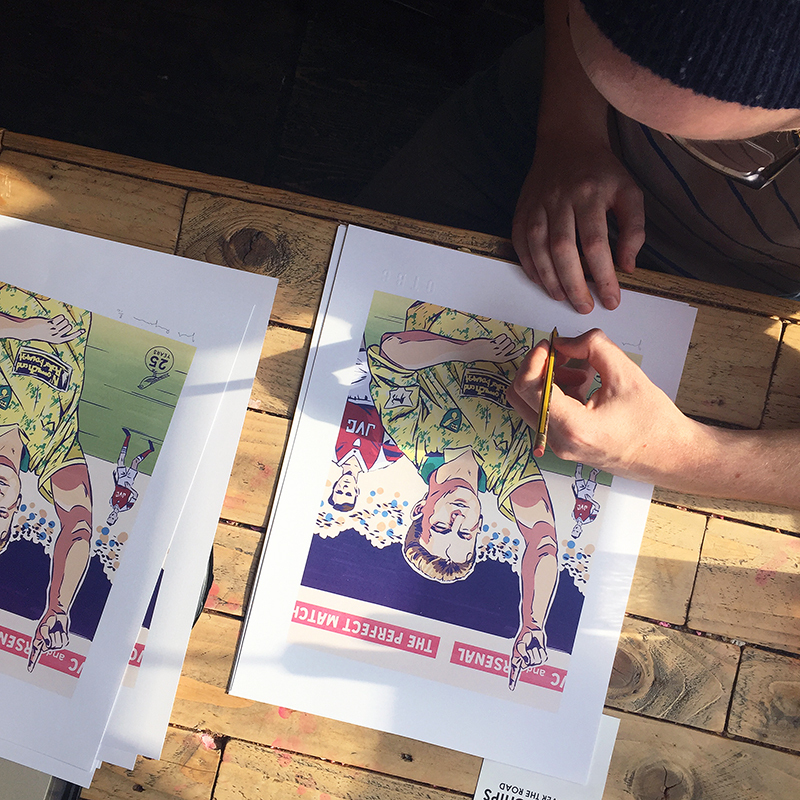 We asked local artist and Canaries fan Joel Benjamin to draw the player and capture the occasion using his distinctive style of illustration. Joel has definitely worked his magic and we think he’s created a brilliant piece of commemorative artwork. "As 1992 was quite a long time ago now, I wanted to give my image of Mark Robins a retro feel, something between a commemorative photo and a Roy of the Rovers strip. Robins’ physique and features where great fun to draw but not half as entertaining as the disgruntled Arsenal players in the background. I hope this image brings back good memories for some and encourages others to learn about our team’s history. Enjoy!"